Transit information was added to Apple Maps only about a month ago. Today, the tech titan added directions for certain Amtrak trains. These include the Amtrak's Northeast Regional, Acela Express, Keystone, Lake Shore Limited, Pennsylvanian and Maple Leaf lines. The cities covered are ones where transit directions are already available from the Apple Maps app. While the World Series won't be played in Fenway Park this year, bus, train, subway and trolley directions for the city of Boston are now available from Apple Maps. Slowly but surely, Apple is adding transit directions for more cities. Currently, the feature is available for Baltimore, Berlin, Chicago, London, Mexico City, New York City, Philadelphia, San Francisco, Toronto and Washington D.C. (in alphabetical order). In addition, transit directions for 30 cities in China are listed on Apple Maps. 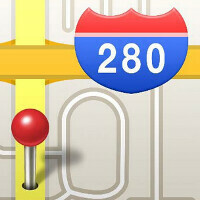 Apple Maps has come a long way since it was first launched with iOS 6. Incorrectly labeled locations was one of the problems, and police in Australia called the feature "life-threatening" after Apple Maps users in the country got lost in the Outback. The issues with Apple Maps eventually led to a shake-up in Apple's top management lineup as iOS head Scott Forstall was forced out. Jony Ive's role was increased, and the design chief ended up with his fingerprints all over the redesigned iOS 7. The rest, as they say, is history.